Often when I put a document on the photocopier for scanning I don't get it exactly level for various reasons. How ca I straighten it out in GIMP? If I can't get it aligned right my cropped image comes out skewed. See the two attached examples. 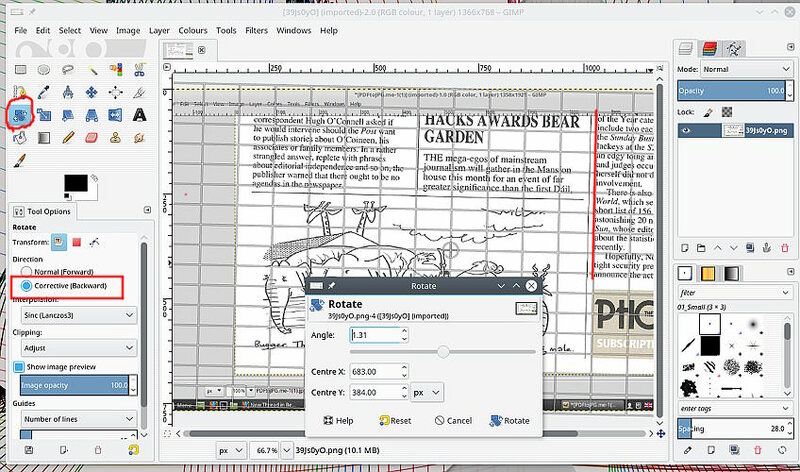 In Gimp 2.10 (at least 2.10.6 IIRC) , you can use the Measure tool for this; drag a line along the baseline of a text line and hit the "straighten" button in the Tool options dialog, to make that horizontal (or vertical, whichever is closer). 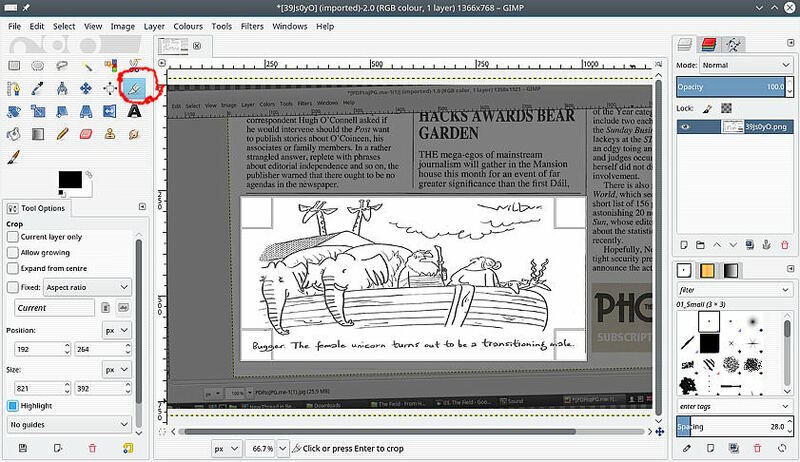 (11-26-2018, 12:31 PM)Ofnuts Wrote: In Gimp 2.10 (at least 2.10.6 IIRC) , you can use the Measure tool for this; drag a line along the baseline of a text line and hit the "straighten" button in the Tool options dialog, to make that horizontal (or vertical, whichever is closer). I tried this with text. It adds a bit of antialiasing to the the edges. Same with the Rotate Tool (and the NoHalo algorithm).